S330D combines functional design with reliable performance to take your sonic experience to the next level. Its 6½” subwoofer and two-way satellites produce 72 watts of awesome power. What’s more, all the components are housed in medium-density fibreboard (MDF) wooden enclosure to resist vibration. The result is rich lows, clear mids and crisp highs. Also, look for the elegant piano finish on the satellites. 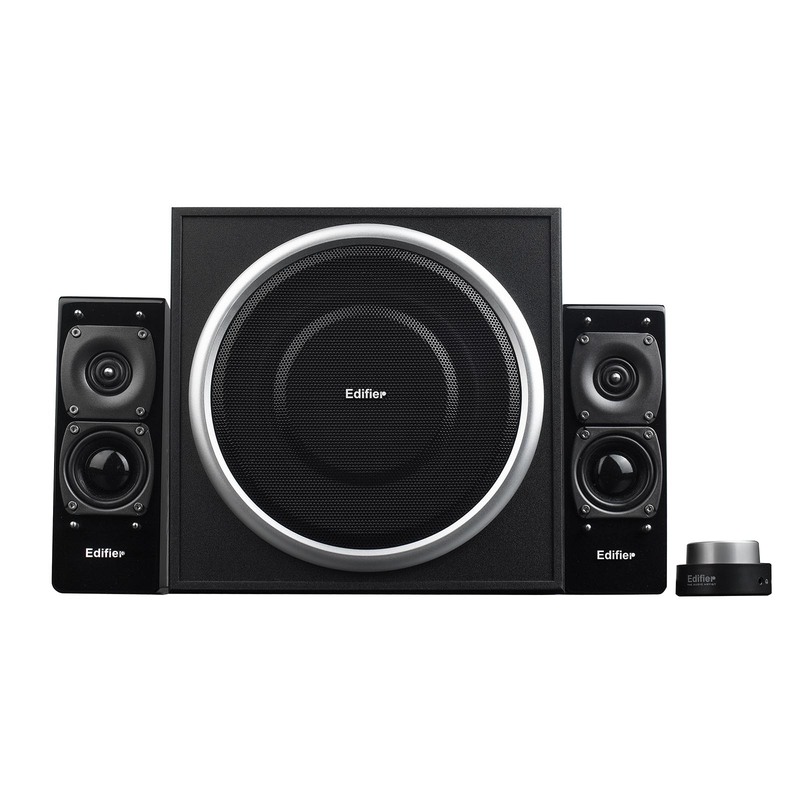 This 2.1 speaker system is designed to complement any surroundings. It’s also equipped with both coaxial and optical inputs that let you connect to an array of devices. 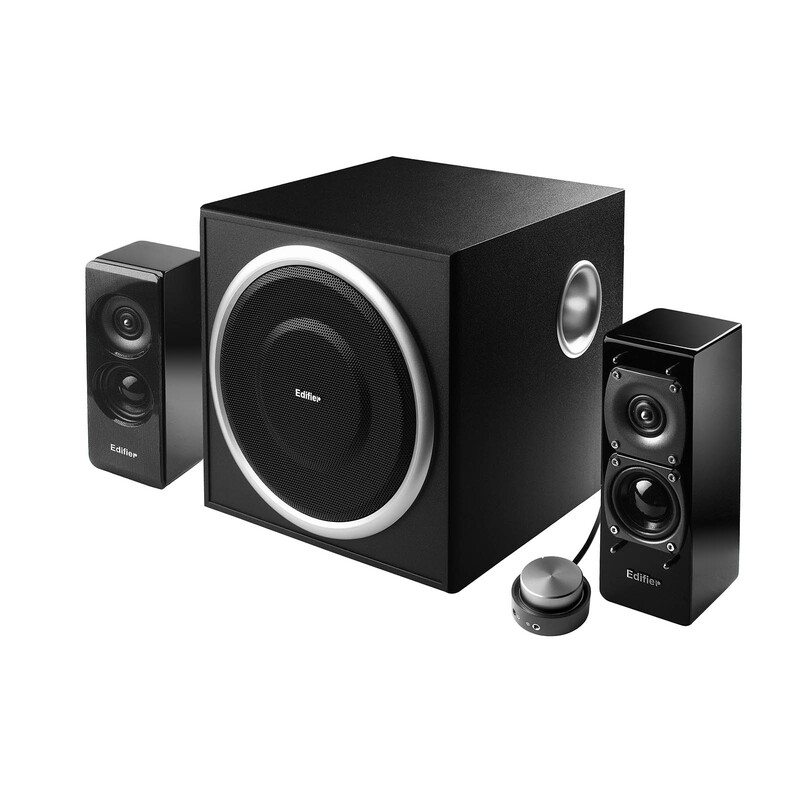 S330D 2.1 speaker system is equipped with a wired remote dial that offers a smooth operating experience. A blue halo lights up when the system is powered on, so you know exactly when it's ready to pump up the beats. On the remote control, you’ll also find an auxiliary input port and a headphone port. Both outputs can be easily adjusted using the master volume control.